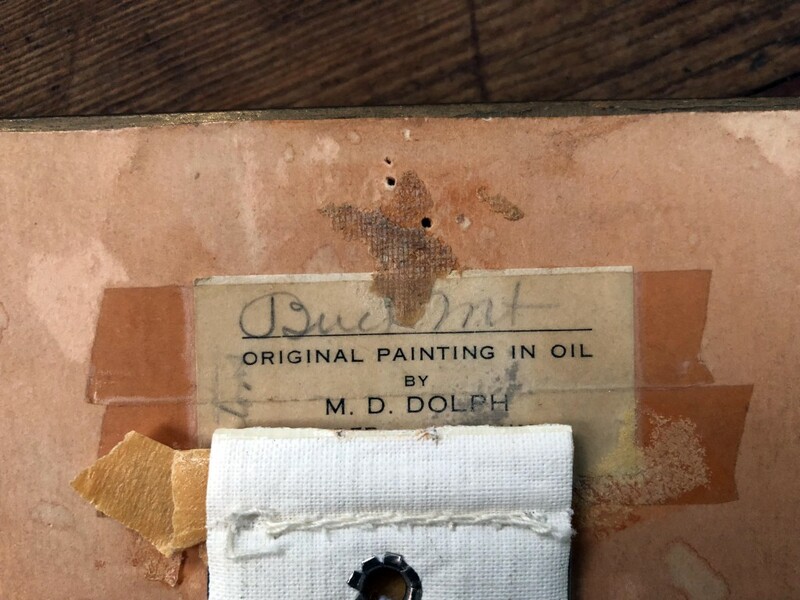 Miniature oil painting by Marie Dorothy Dolph entitled "Buck Mt". Buck mountain is one of the Grand Tetons, and is the prominent mountain overlooking the south end of the Moose-Wilson Road, aka Poker Flats. This vantage point of the mountain is from the north. 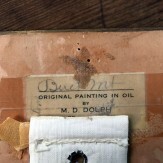 In original wood frame, signed in lower right, and titled on the reverse, on the characteristic label Dolph used. A replacement fabric picture hanger is on the back. 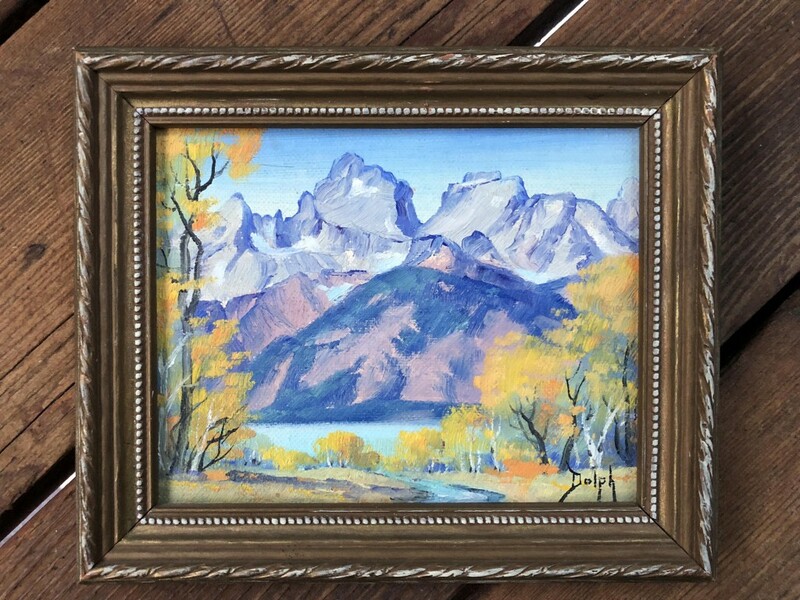 6" x 5.25" including frame. Ca 1940.